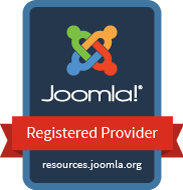 There is a continuous effort to spread Joomla globally! The Marketing and Communication (M&CD) Department has released the official Joomla brochure which is freely available for download. Creating a global reach for Joomla is one of the goal of the Marketing Team. However, the activities of the M&CD aim at cultivating a very strong and effective positive image of Joomla around the world. Therefor, the promotion of t Joomla project and its activities is important. While we thank the committed and wonderful Joomla community, it is important to specifically thank the M&CD for their effort on this brochure. We at JoomSchool International are supporting the spread of Joomla in Nigeria.